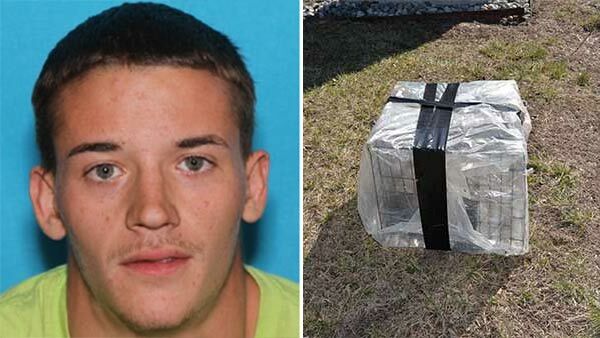 WILLOW GROVE, Pa. -- Police in Montgomery County have made an arrest in the torture and death of a puppy, whose remains were found inside a crate sealed with plastic and tape earlier this month. Authorities say 20-year-old Charles McCafferty IV of Lansdale, the animal's owner, is now facing animal cruelty charges. The dog's remains were found on March 9, 2016 in the area of Welsh Road and Blair Mill Road in the Willow Grove section of Upper Dublin Township. A necropsy found the puppy was seriously underweight and died from suffocation. The Upper Dublin Township Police Department posted a picture of the crate on their Facebook page. A joint investigation was conducted with the Montgomery County SPCA and Upper Dublin Police, which ultimately led to McCafferty. A $5,000 reward was offered by PETA for information leading to an arrest. So far, no word on if that reward was claimed.